We grilled this pizza last weekend on the Kuma grill and it turned out amazing, in fact it was easily the best homemade pizza I have ever tasted. 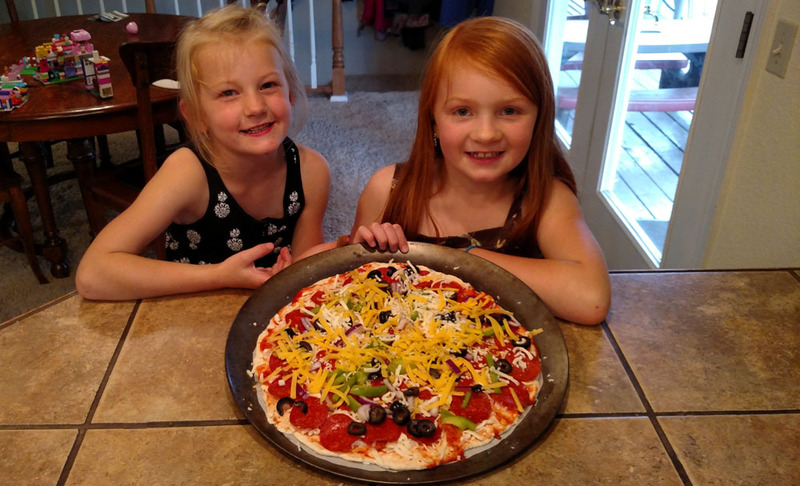 We have used this basic recipe several times before, but this time everything came together for pizza perfection! 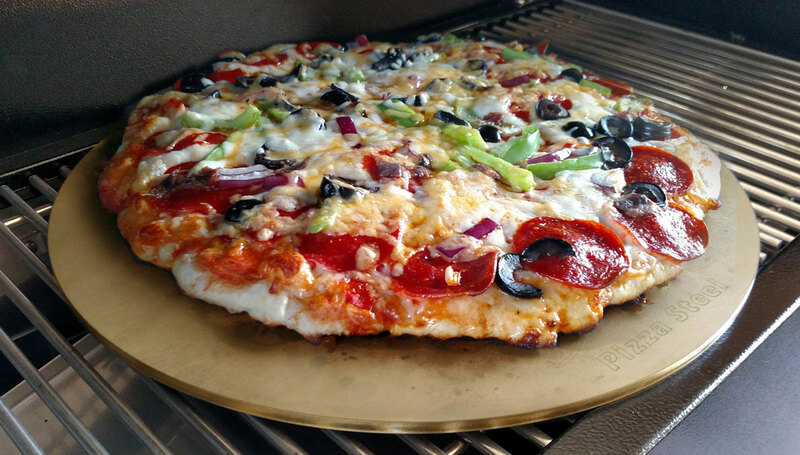 Follow these 5 tips to take your pellet grill pizza game to the next level. 1. Use a pizza steel. A pizza steel will absorb and radiate heat as you bake, giving you a perfectly crispy crust. 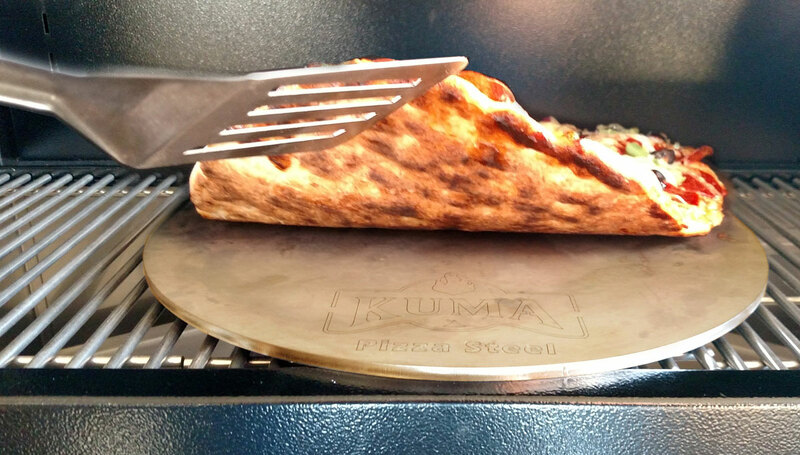 The Kuma Pizza Steel is the perfect size for the Platinum SE grill. If you want to cook 2 pizzas at once, you can place them side by side on the grill. 2. Get your pizza steel hot! If you have all of the ingredients out for your crust and toppings then start your grill at 480°, open up the grill zone on the Platinum SE and set your steel on the center of the grill. It should take you about 20-30 minutes to make your pizza dough and add your toppings, which is about the perfect amount of time to get your steel nice and hot. I still can not believe how great this worked. Cut out a sheet of parchment paper the exact size of the pizza you want, (the dough recipe below is great for 2 - 12" pizzas). Roll out your dough then transfer it to the paper. When your pizza is ready for the grill, leave it on the paper and you can easily set it directly on the steel. When you rotate your pizza half way through the cook (always a good idea) you can easily slip the paper out to finish the pizza directly on the steel. 4. Try the 2 ingredient pizza dough recipe (2 cups greek yogurt and 3 cups self-rising flour). Full disclosure, the only way that this is actually made from only 2 ingredients is if you have self rising flour. If you do not, then simply combine 3 cups of all-purpose flour with 3 teaspoons baking powder and 1 - 1/2 teaspoons salt. Combine the yogurt and the flour in a bowl and mix until it forms a ball of dough. Knead it for a few minutes, adding a bit more flour if it is too sticky. Divide the dough in half and roll out to 2 - 12" diameter pies. Transfer the dough to the parchment paper and add your favorite toppings. 5. Throw a little cheddar on top. We use this metal pan as a pizza peel to slip the pizza on and off of the grill. It slides super easy on the parchment paper. If it sounds strange, dont worry, cheddar cheese is scientifically proven to add a nice flavor without affecting the texture of the mozzarella below. When you are ready, place your pizza (parchment paper and all) on the pizza steel and turn the grill down to 425°. Rotate the pizza and remove the parchment paper after 4 minutes. Our pizzas were done after 7 minutes of total cook time. I may try new toppings, but these are 5 things that I know I will do exactly the same the next time we grill up some pizza. To see how the quick grill zone works on the Kuma Platinum SE Pellet Grill, check out this video. We are excited to try it out this weekend! Good Luck! The parchment paper is a game changer.